We originally entered the room through the door on the left. 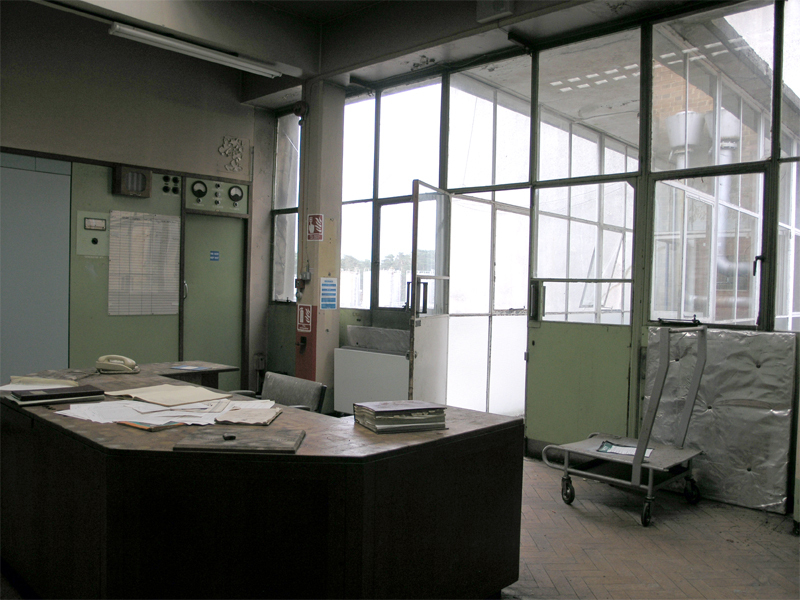 However the glass doors to the right lead over a small glass lined bridge and into the corridor at the back of the offices of the Power Station itself. North eastern view across the control room looking towards the bridge.